We all know we should eat more vegetables. But how, how do we do that, really? What real-life tips and ideas work? 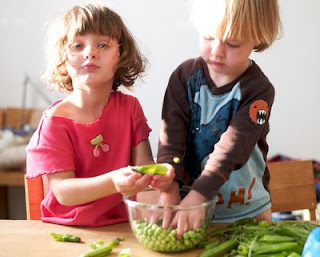 How can we build our lives around the healthiest of all foods, vegetables? Every Saturday (well, except when she takes a little break), the 'veggie evangelist' shares practical tips and ideas from her own experience, her readers and other bloggers. AND YOU? What about you, would this tip work for you personally or perhaps for your children? Today's photograph is courtesy of willemvelthoven on Flickr.